Club MAC Alcudia is a uniquely balanced resort. As well as our extensive swimming pools, three separate hotel buildings (Marte, Jupiter and Saturno), restaurants, bars, entertainment and sporting activities, we are privileged to have two natural lakes on site. Our resort covers almost 25 acres and is just under 1km away from the natural delights of the beautiful sandy beaches of Alcudia. But more than this, the resort was built around two lakes that form part of the ancient S’Albufera wetlands. In fact, Club MAC is the perfect place to stay for nature lovers and fun lovers alike! 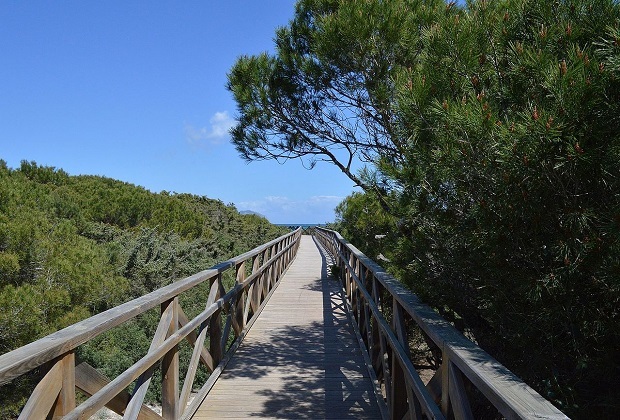 The National Park covers an area just off the coast road of the North West of Mallorca, around 5km south of Port d’Alcudia. This means that the land all around Club MAC is part of the wetland area. Ornithologists and nature lovers come to Mallorca from all over the world to seek out the rare birds in the area. These include Montagu’s harriers and certain species of flacon. There are many rare species that breed in the area, including the long-eared owl, stonechats and moustached warblers. Ospreys venture from their breeding areas high on the cliffs to fish in the wetlands and peregrines are at home here all year round. The wetlands are called S’Albufera because the name derives from the Arabic for the word ‘lagoon’. People have been using the site for many centuries, right back to Roman times. Pliny writes about ‘night herons’ being sent over to Rome for Emperors to feast on, which are thought to from S’Albufera. In the 19th century, the wetlands were drained by a British company that subsequently went bust. When you walk around the area outside Club MAC, you will see the many canals that were constructed during this time. Moving on to the early years of 20th century, rice crops were introduced into the area. There was also a strong manufacturing base for paper made from the sedge and reeds. Eventually, amid concerns about tourism damaging the delicate ecosystem, the region was named as a protected nature reserve in 1985. Today, there are many footpaths and cycle paths in the area, which are perfect to explore while you enjoy your holiday at Club MAC. You can also explore the birdwatching hides and see how many rare species you can spot, and check out the visitor’s centre, which has a display room. And, the enjoyment of the protected area doesn’t stop there! We have plenty of facilities on site to help you explore the lakes. We oxygenate both lakes every summer, so that they continue to support the important and protected wildlife. While it’s not possible to swim in the lakes, you can hire a pedalo, canoe, kayak or boat and spend time on the water. It’s a lovely alternative to the usual activities and will give you the chance to experience the beauty of this important part of the natural life of Mallorca.